I decided to fulfill a long-held dream and start my own business making and selling iOS apps on the App Store in 2012. This lasted half a year before starting my contracting career. This 'splinter' company is still used by me for my payroll. I was responsible for developing a prototype iPhone app for Assembly Payments, involving technologies such as Bluetooth, QR codes, and much cryptography. This project was struggling to hit deadlines and had very low morale, with many staff members leaving the project. Two friends and I were brought on to revitalise the project, and we were able to successfully launch a reliable app in time for season kick-off, delivering features well ahead of expectations. Developing the cochlear 'client remote' app which helps Cochlear implant recipients control their hearing parameters and track their goals. Part of the team working on Macquarie's new award-winning personal banking iOS app. iOS Lead at CBA via the engineering consultancy Odecee, working on their primary iOS consumer banking app. Lead developer on Dimmi's next generation iPhone/iPad app. Dimmi is the market leader in online restaurant reservations in Australia, and as such wants to make an engaging app for consumers to really enjoy making their reservations with. The app has full features for searching for restaurants, making bookings, and viewing and maintaining all your user details. Key member of the iOS team developing the next generation of iPad newspaper readers that is to be rolled out across all Australian News Corp newspapers. Also participated in the innovation team, as part of efforts to in-source development of crucial applications and build robust long-term app platforms, moving away from problematic apps developed by agencies. Developing an overhaul of their multi-brand platform for a range of native iPad apps for mortgage brokers, moving away from legacy code to a modern codebase. Developer of an iPhone application designed to interact with a custom Arduino-based interactivity device, as well as communicate with a Node.JS server. This was part of a prototype for filming for a major international design agency. Also working on improving an iPad based enterprise ERP tool. Part of the team that developed Nine's JumpIn interactive TV guide iPad app. Due to my experience developing a TV guide before at FetchTV, I was primarily responsible for developing the TV guide grid view. Envoy is a digital agency specialising in the travel industry. I worked in the development and maintenance of their existing websites and web applications. Development and support of back-office systems to support the woolworths EFTPOS switch. These systems range from financial settlements, transaction disputes (both retrieval requests and chargebacks), master terminal databases, and transactional research. I was primarily in charge of requirements definition and development of the Business Intelligence Reports database. This database allowed accountants from around Australia, NZ, and USA to log in and provide their cost centre’s weekly and month-end figures, and generated weekly reports for the board of directors. The database was a Ruby on Rails application in combination with a SQL 2000 backend, generating PDF reports directly from the web interface. This application made use of AJAX using the Prototype library to present a fluid interface to the users. Upon joining RPL, this was all achieved using a legacy MS Access database, and it was my primary achievement to replace it with a robust solution. Other responsibilities included development for the Employee Share Plan database and the Human Resources database. Support of Membership and billing databases for several major Australian trade unions; maintaining and administering Citrix servers; development of custom reports using the Crystal Reports tool; development of custom software for customers including Caltex and IKEA. I completed the first year of an MBA course. This confirmed for me that my real passion lays for technology, and as such I chose to exit the course after reaching the graduate certificate level. 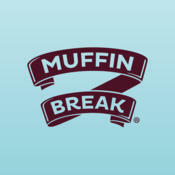 Worked with the team from Mentally Friendly to develop Muffin Break's loyalty app. Written 312 answers. Active in ios, iphone, uiview, asp.net, c# and 19 other tags.